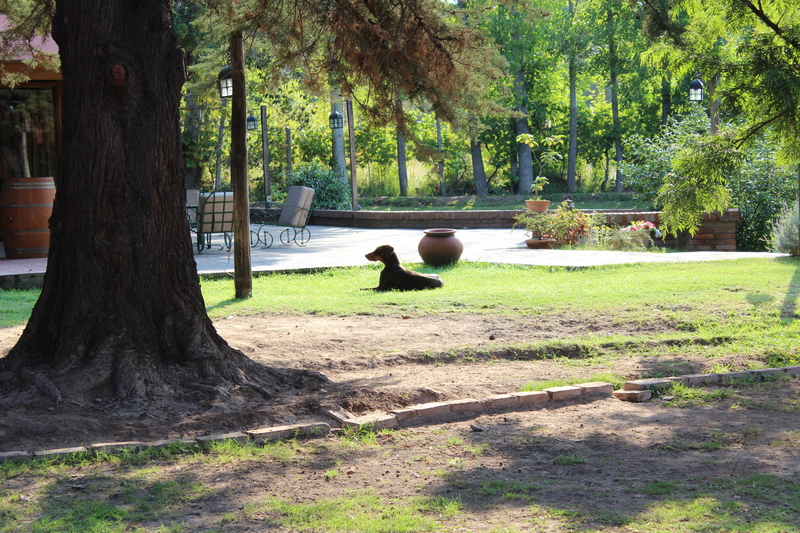 One of the trips I was super excited about this summer was our trip to Mendoza. The city is becoming one of the world’s leading wine and gastronomic centers and, as most people know, Jesse and I very much enjoy the wine and gastronomic world. 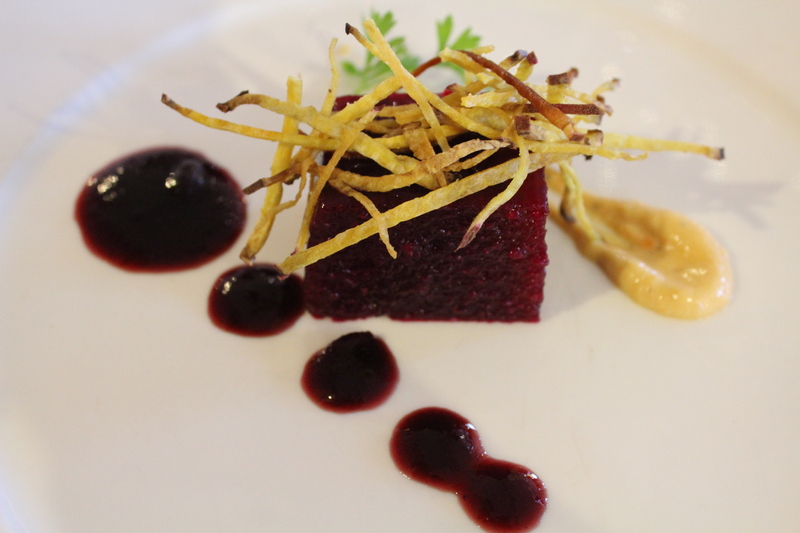 Sometimes just for the sake of the food and wine itself, the inspiration and creativity inherent in each memorable dish or glass; sometimes for the sake of remembering our ever present connection to the earth and its products; and sometimes for the memories made in a special (or even not-so-special) dining experience. 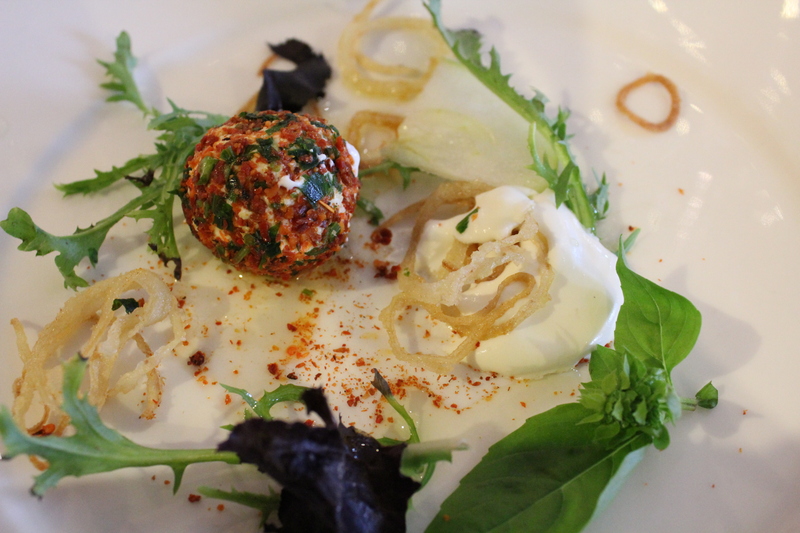 Anyway, for all these reasons, and more, we are definitely lovers of food and drink (wine/beer/cocktails). 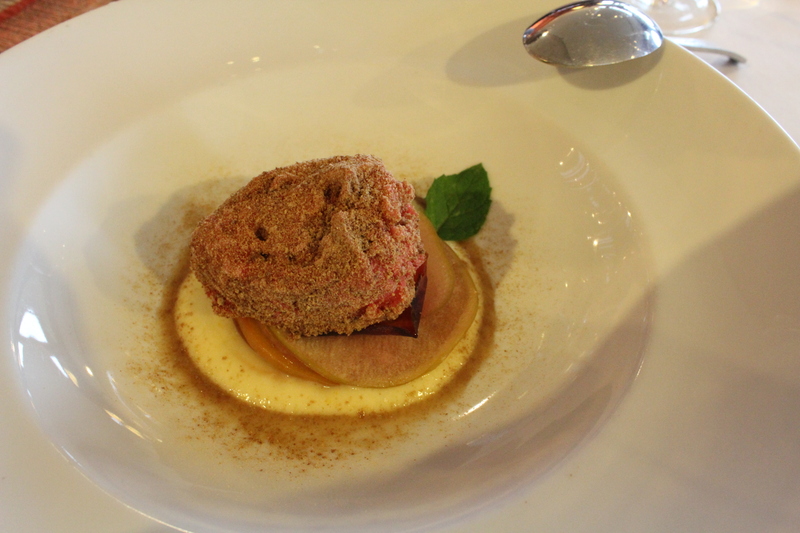 But the really special thing about Mendoza, besides the restaurants and puerta cerradas popping up all over the place, is that it’s so much more than just food and wine. The Andes mountains borders the city (and the province) so the outdoor activities abound in both summer and winter. The province, which is now one of the most popular ski destinations in South America, is also home to the tallest mountain in the Americas, Aconcagua – hiking, white water rafting, mountain biking, horse riding, whatever you can think of really. 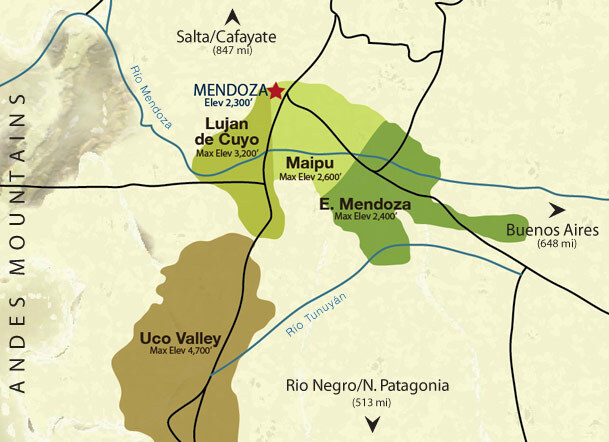 The three main wine regions in Mendoza that most people frequent are Lujan de Cuyo, Maipu, and Uco Valle. 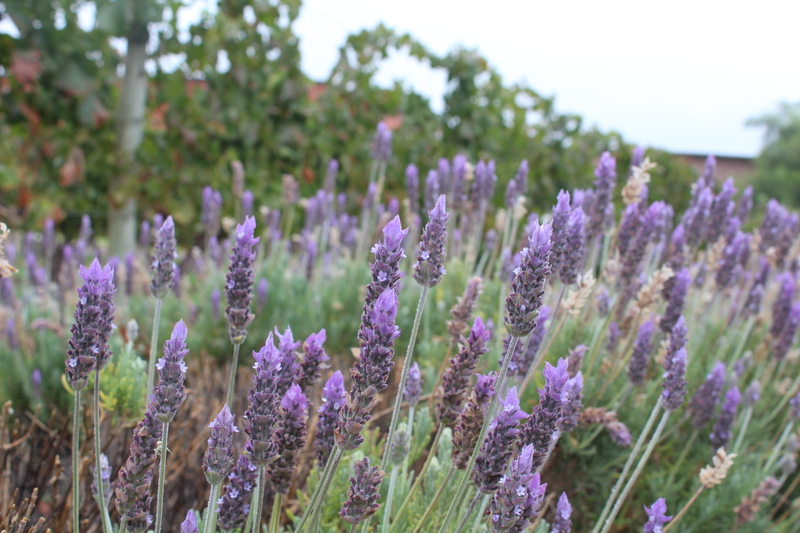 Unlike Napa, the vineyards in Lujan and Uco Valle are more spaced out so it’s not always possible to do the fun wine tours via biking or horse riding. 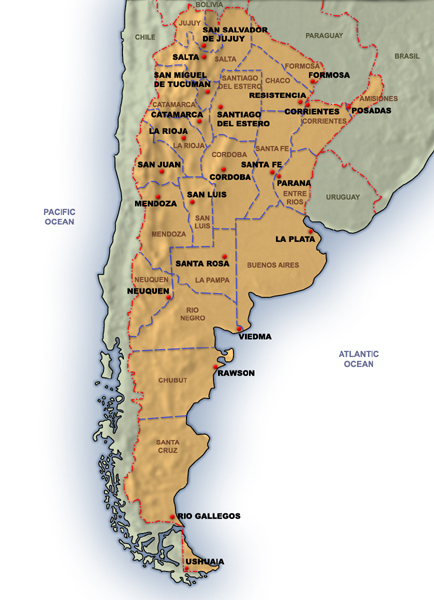 But Maipu, which is known for both its wine and olive oil production, has some scenic routes and there are some bike and horse tours you can take through the area. 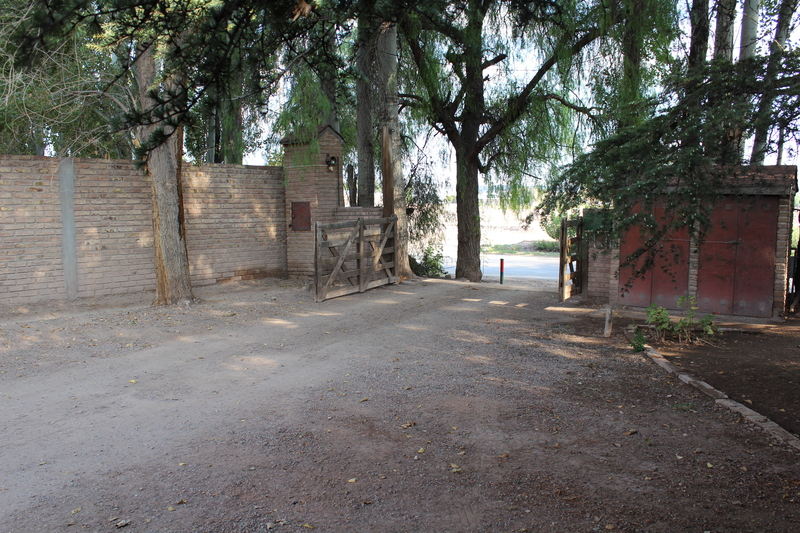 Lujan de Cuyo is a small town, where some of the smaller bodegas are located, surrounded by larger bodegas. Parts of the area have some villas miserias and, as we were told, it’s not really the safest place to ride a bike. 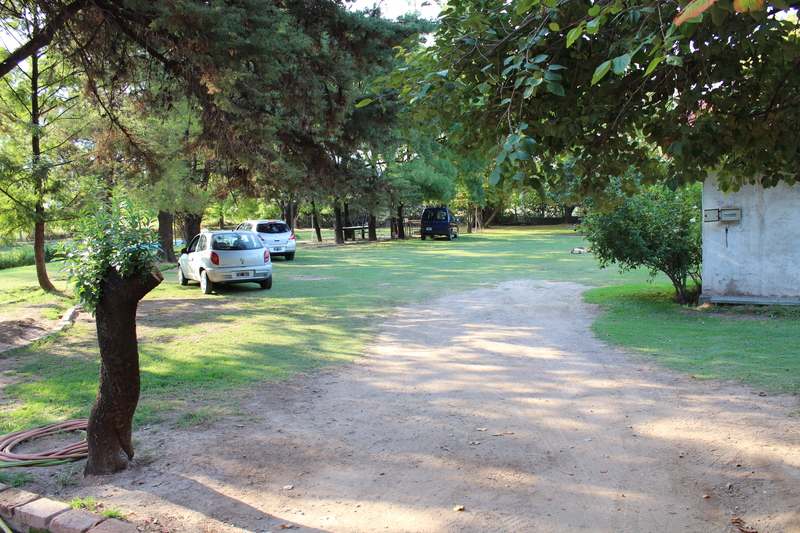 The Uco Valle is about an hour drive south of Lujan de Cuyo and has some gorgeous landscapes. All but one of the bodegas in this area are modern and are foreign owned, but that shouldn’t deter anyone from going. 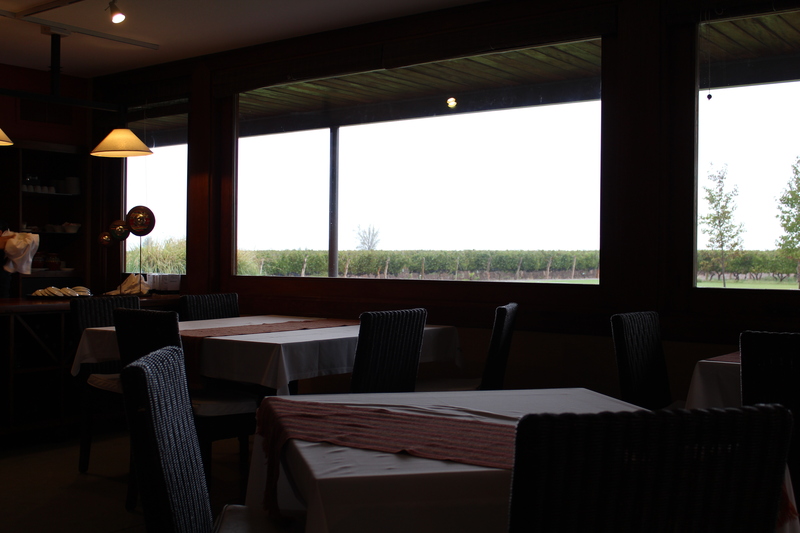 Especially on a low weekend, the visits are very pleasant and the wines are delicious. And really just the drive is worth the trek. After missing our bus the night before (my mistake – I blame impaired judgement from a bad cold and these damn military times! 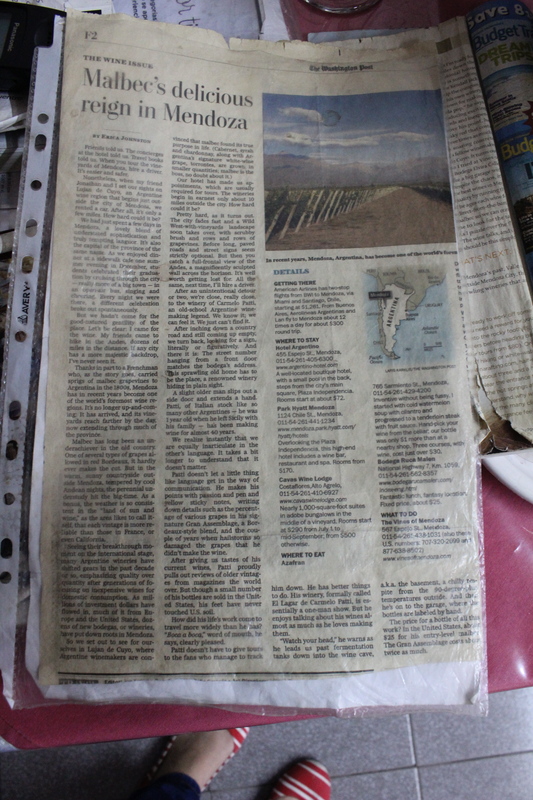 ), we barely made it on to a bus a couple hours later, arriving in Mendoza 3 hours later than planned. 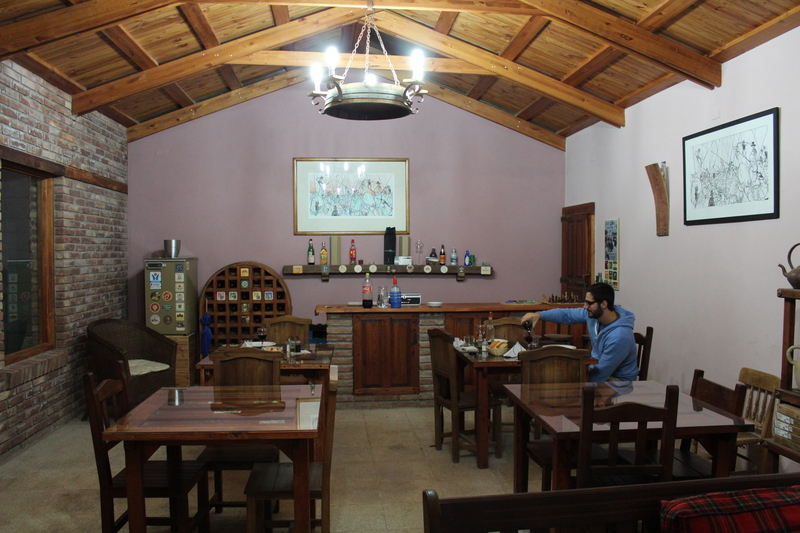 We had reserved a table at the Bodega Ruca Malen, located in Lujan de Cuyo, to have a 5 course tasting menu with wine pairing. 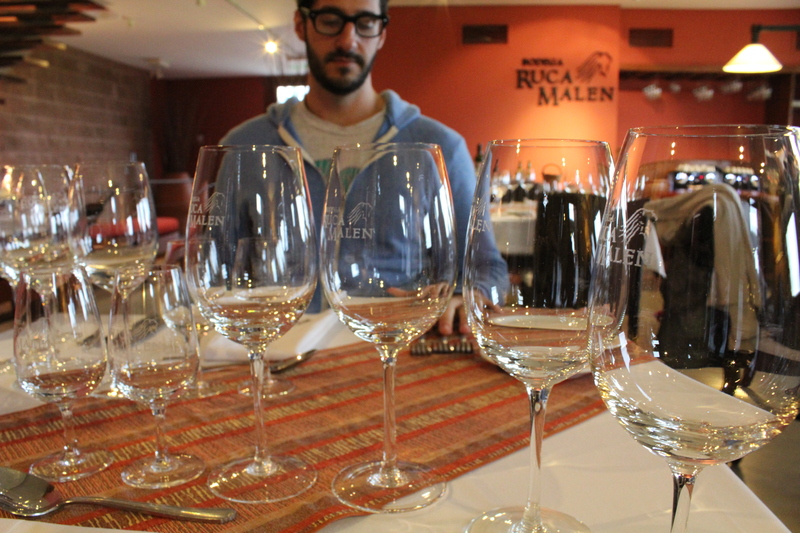 Fortunately for us, the people at Ruca Malen were incredibly understanding and held our reservation. 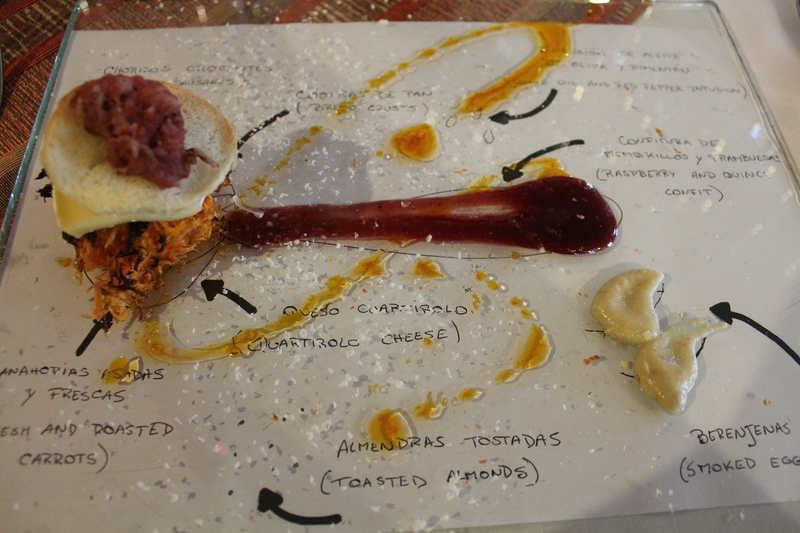 ** As mentioned, a lot of the bodegas have a really nice restaurant where they serve fixed menu meals (usually just lunch with a fixed seating time) with wine pairings at each course. 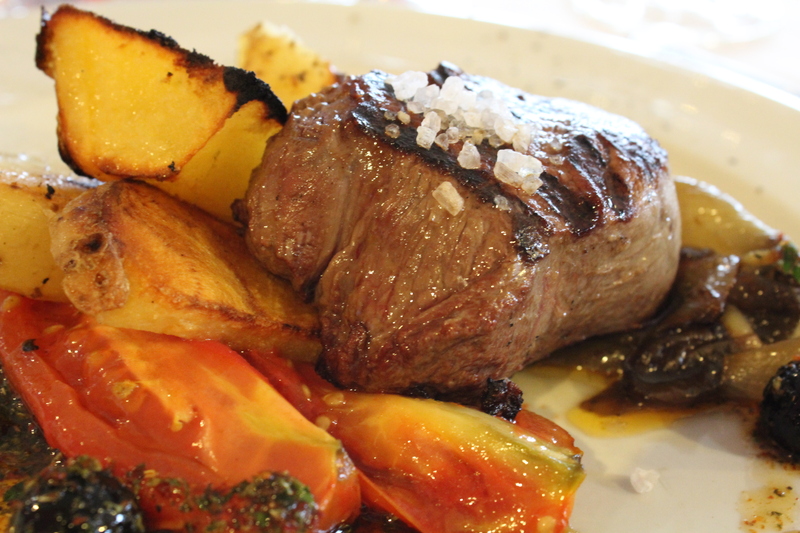 The meals are usually very reasonably priced so it’s very possible to try a couple during your trip. 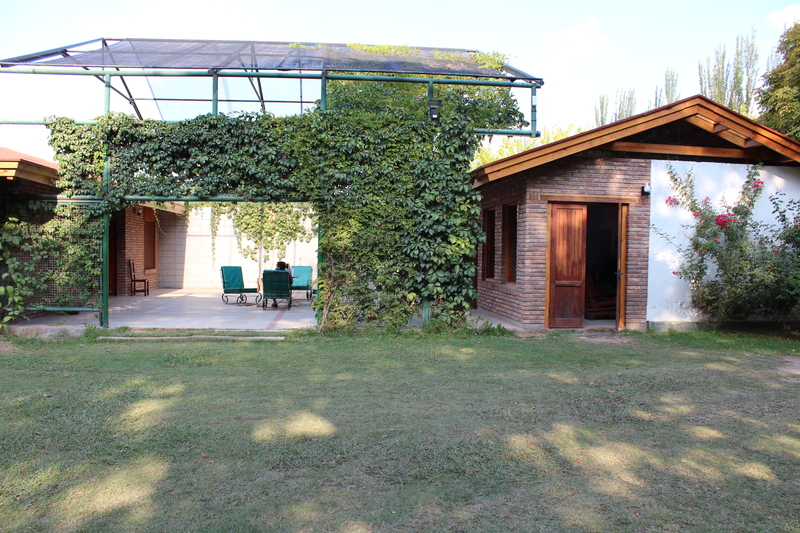 It’s also a wonderful way to have a wine tasting at the vineyard. As I mentioned above, I caught a pretty nasty cold from Jesse just a day before we made our trip. 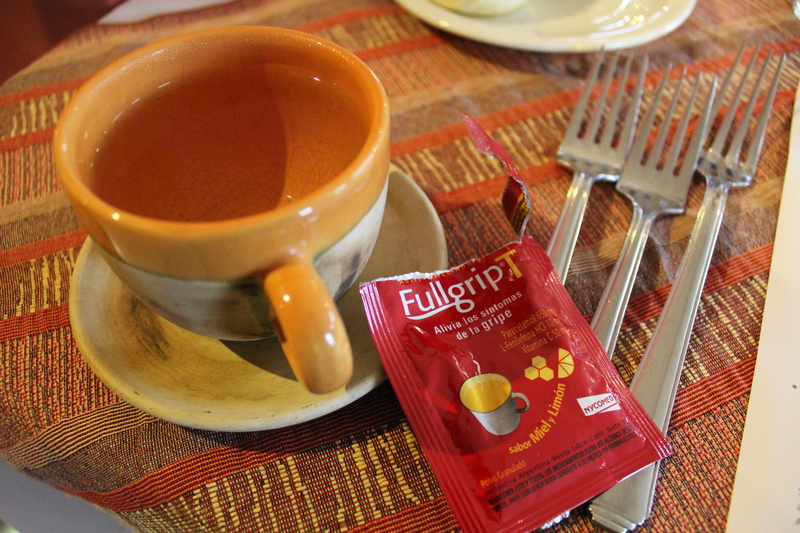 The restaurant was nice enough to give me some hot water so I could try to clear up my sinuses before tasting wine. Amazing views with lunch. 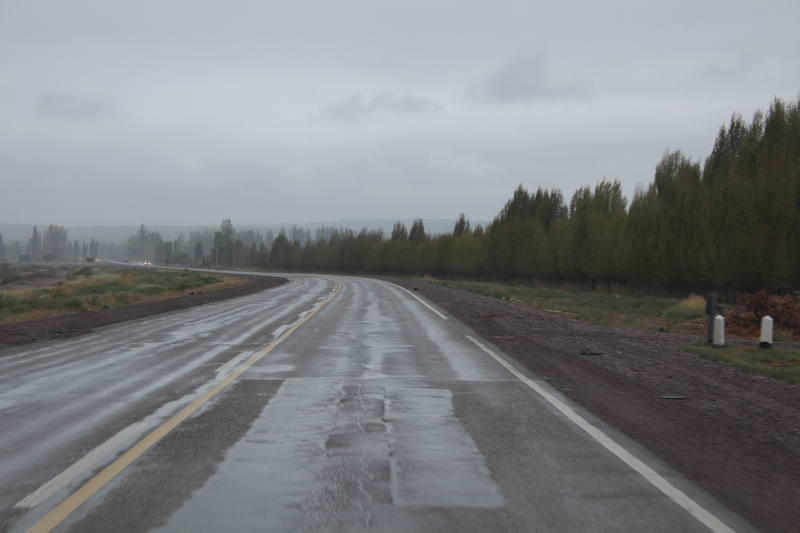 Would have been better – there are mountains out there somewhere – if it weren’t so cloudy out. 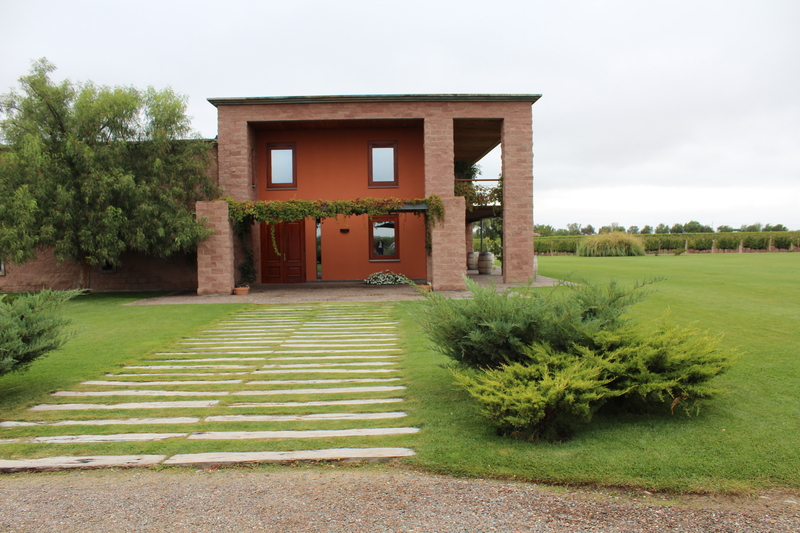 We didn’t get a chance to take a tour of the bodega, but the grounds around the restaurant were beautiful. Sometimes when we’re driving, I like to think about what a place would look like if people weren’t here. Some places its a bit easier to imagine than others. Beautiful drive down Avenida San Martin (aka Rt 15). 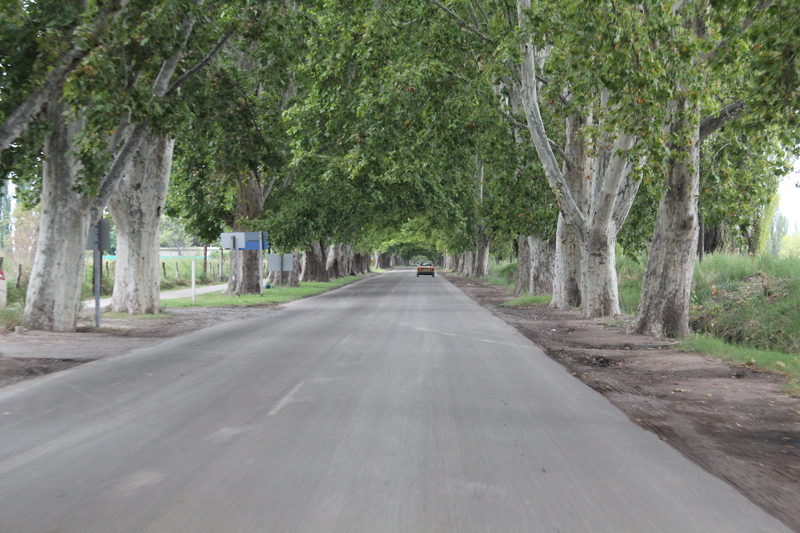 Just off of this tree lined street are many of the Lujan de Cuyo vineyards. This one was one of our favorites. 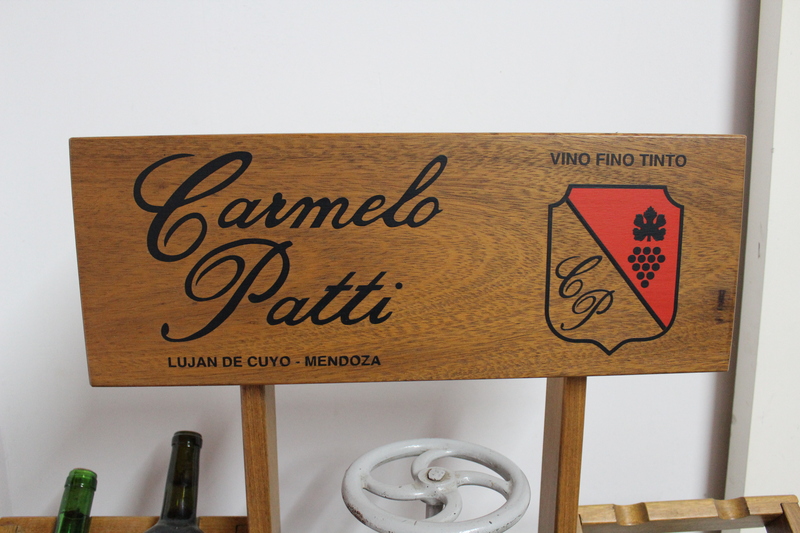 A small bodega, Carmelo Patti is located in the town of Lujan de Cuyo and can be easily missed. 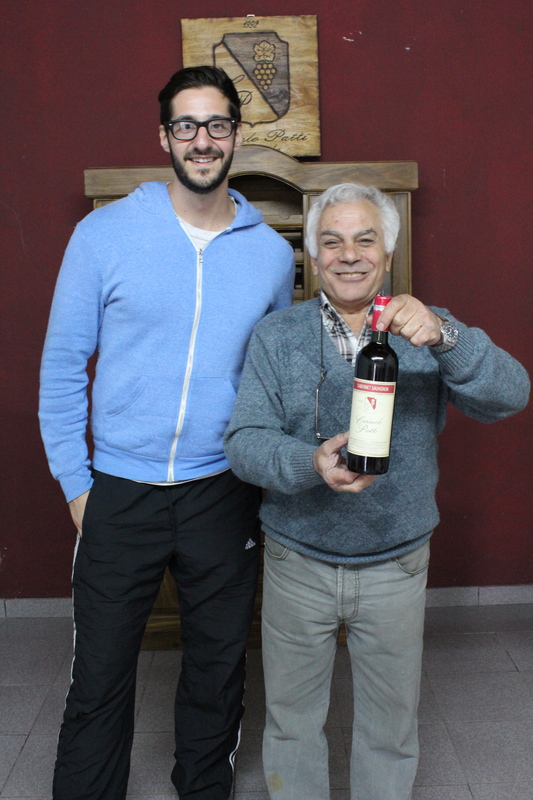 Its owner, for whom the bodega is named, is a short energetic Argentine who cannot help but show a passionate love for his wine and his family. 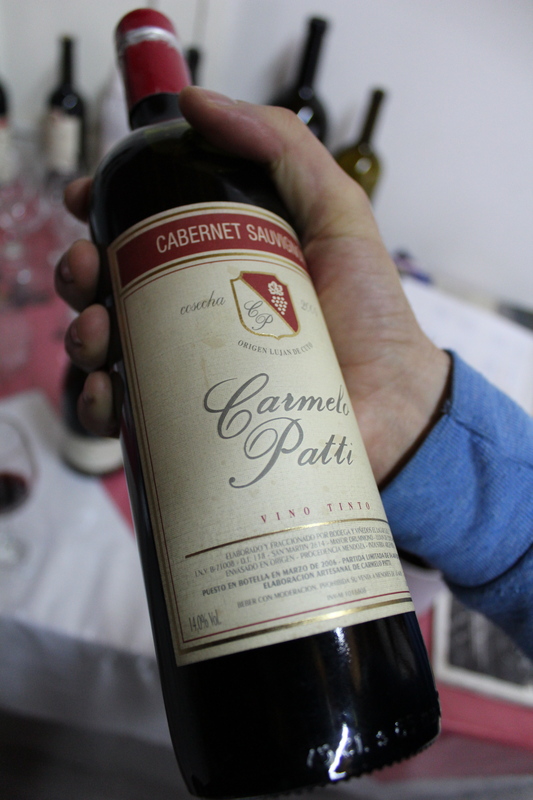 We tried a couple wines and met another local Argentine who owns camping lodges just outside the city. 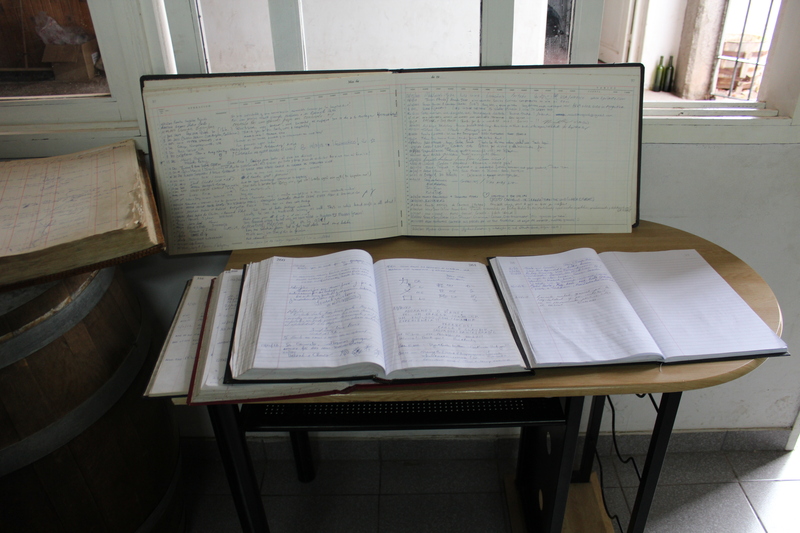 The guest books. Even here you see his pride in what he has accomplished with his wine and small bodega. He was telling us about all the people from across the world who have come to visit his bodega. A Washington Post article about the wines of Mendoza that mentions his bodega. 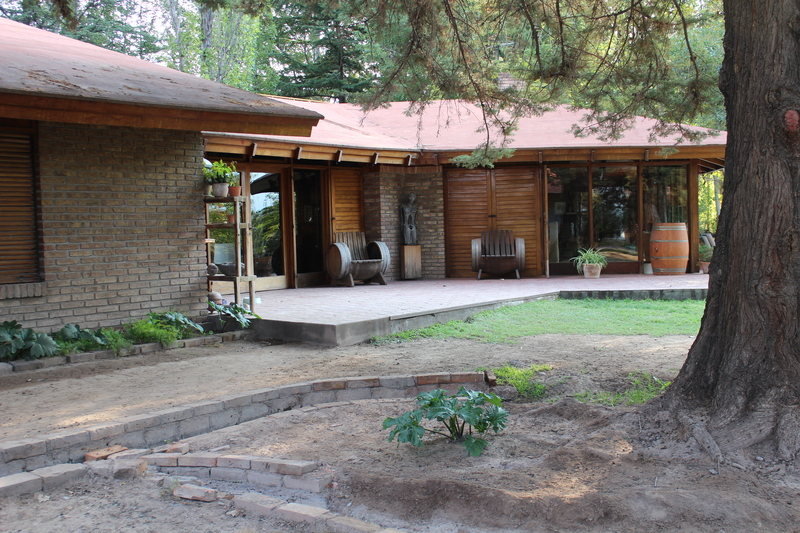 Although we do love cities, we were hoping to reconnect with nature a bit and so opted to stay outside Mendoza proper at the Lujan de Cuyo Bed and Breakfast. The B & B, while not the fanciest of places, was genuinely one of the nicest and most hospitable places we’ve stayed at. 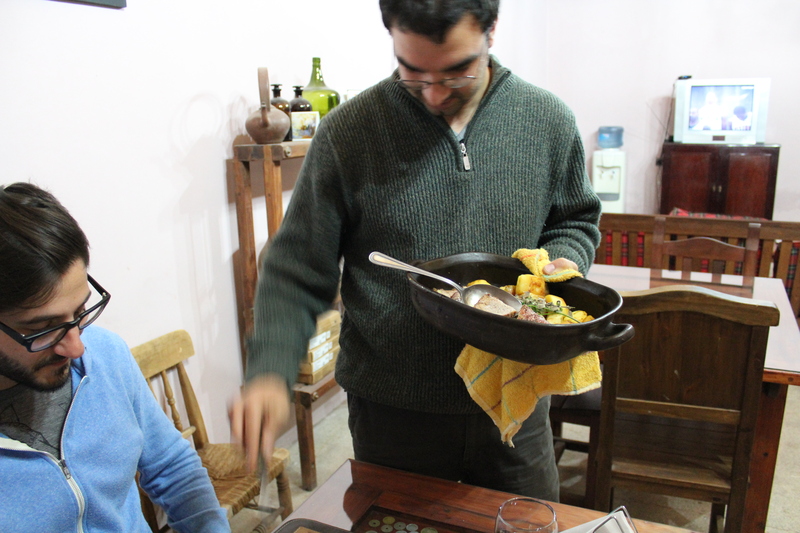 Nacho, the owner, was so helpful with anything we needed from cold remedies to calling and booking bodega visits. Oh! 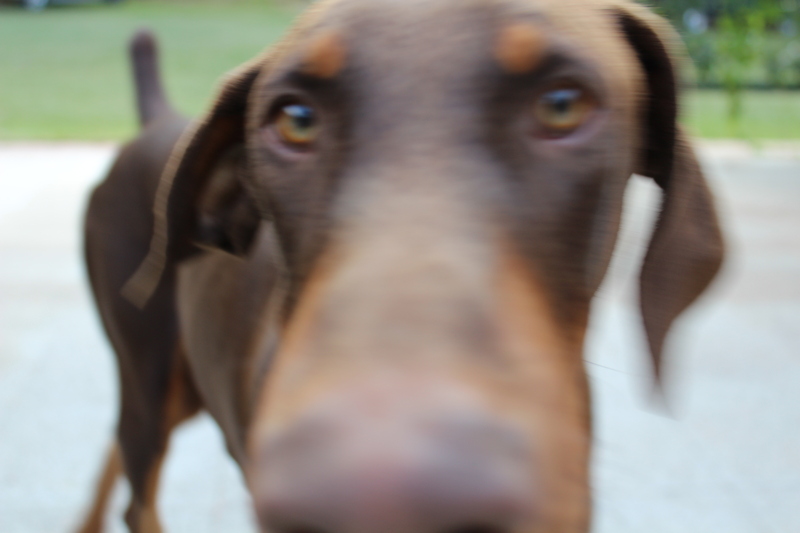 and they had the sweetest dogs!! 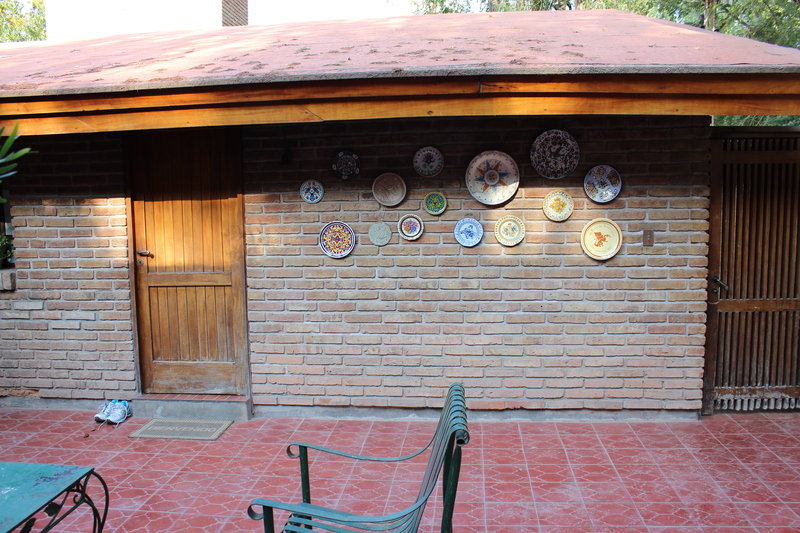 I really would recommend this place to anyone visiting Mendoza. The grounds were quite large. The weather was a bit too warm to take a dip in the pool, but it was really nice just being able to walk around and to be surrounded by all the green in general. 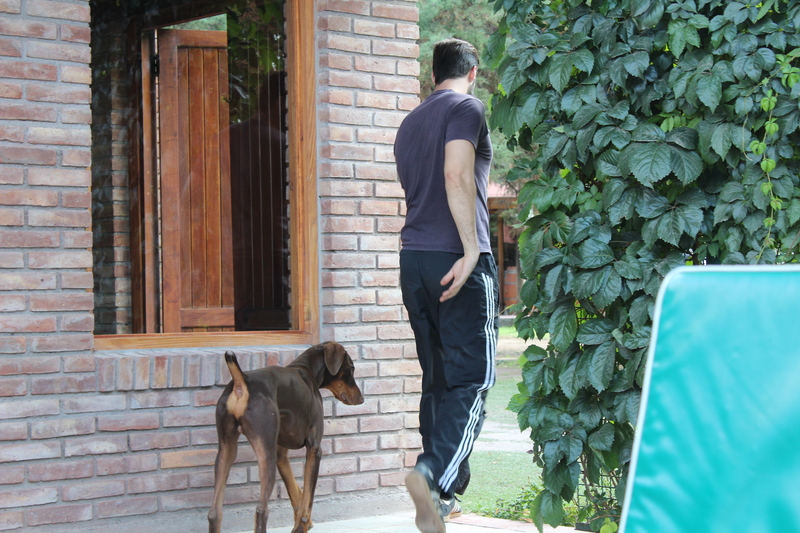 The main house where Nacho’s parents live. Right outside our room, which was located in a little courtyard area connected to the main house. The “living room” where breakfast and dinner is served. 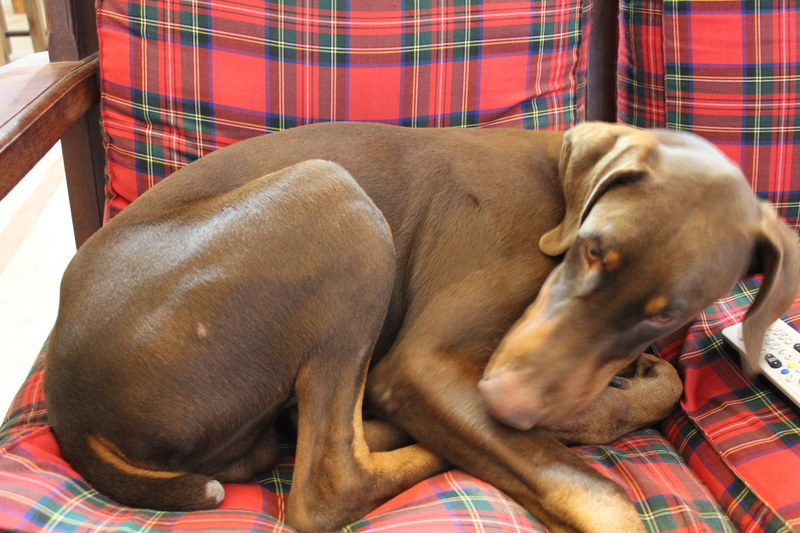 Jordy, the pup, is only 6 months old and is still learning how to behave. He’s not allowed on the couch and he knows it but it’s just so cozy! And how do you say no to this adorable face?? Jesse had a buddy for the weekend and he loved it! 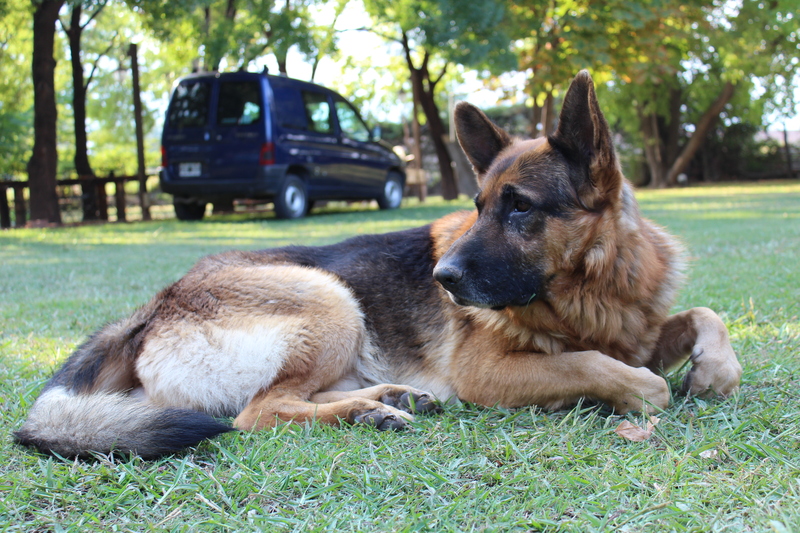 Quilmes, the wise learned and very chill doggy. Nacho serving a delicious pot roast with potatoes and some really fresh and red tomatoes. 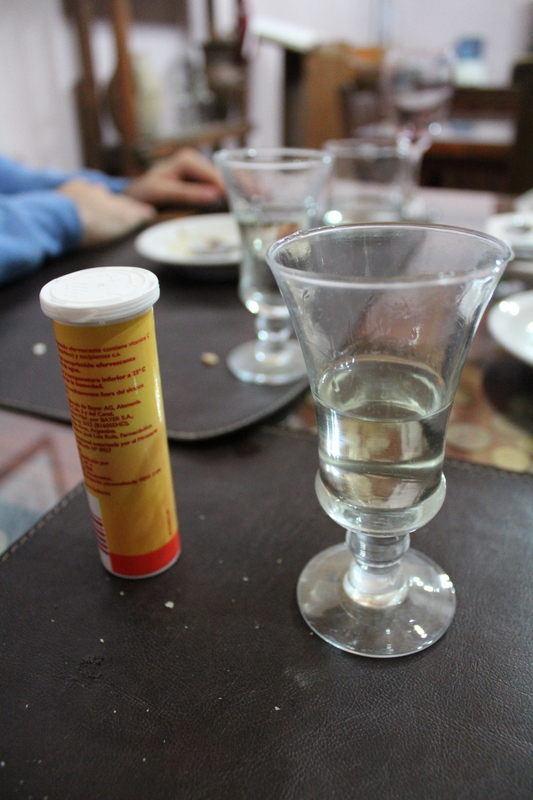 Nacho is so nice and hospitable, he saw how sick I was and gave me some Vitamin C tablets and some Anise liquor to help me feel better. Tomorrow, our journey through the Uco Valley!